Join me for a screening of Sergio Martino’s lurid Italo-thriller Torso at Alamo Drafthouse in Brooklyn. This film is an early blueprint for what would metastasize into the American slasher film, but chock full of all the psychosexual goodness like blackmail, obsession, and lesbian desire you’ve come to expect from the giallo genre. Purchase your tickets today! Come out to Neshaminy Creek Brewing Company for an afternoon of holiday shopping, punk-rock style! I’ll be there with art, zines, and goodies, plus I’m including a pin in the Swag Bags they’re handing out to the first 100 guests. Enjoy craft brews and an alternative to the mall at this holiday market experience. More info on the Trenton Punk Rock Flea Market website and on the Facebook event page. Join me for a screening of Lucio Fulci’s hallucinogenic giallo, Lizard in a Woman’s Skin, presented on the big screen at Alamo Drafthouse in Brooklyn. This top-tier Italo thriller stars the incomparable Florinda Bolkan as a woman enmeshed in a terrifying mystery involving lesbian desires, killer hippies, blackmail, and (of course!) murder. Purchase your tickets today! I'll be hosting a screening of the rarely-seen Toho-produced, Hammer-inspired vampire film LAKE OF DRACULA at Alamo Drafthouse in Brooklyn. The 1960s and 1970s saw the world go Dracula crazy, with sinister black-caped bloodsuckers starring in films from America, Britain, France, Spain, and further afield in Yugoslavia, Pakistan, and Japan. While many of the Japanese horror movies of this time period centered around the country’s classical ghost stories, director Michio Yamamoto’s Bloodthirsty Trilogy takes a distinctly more Western approach to supernatural chills. LAKE OF DRACULA, the second film in this series, is a little-seen example of gothic eeriness. Artist Akiko is haunted by a half-remembered childhood encounter with a set of yellow eyes and as bizarre events begin to swirl about her, she begins to doubt her own sanity. Could she be the victim of a vampiric curse, returning after all this time to claim her as one of the undead? Will she be able to uncover the mystery before she falls victim to the bloodlust that lurks behind that hypnotic gaze? 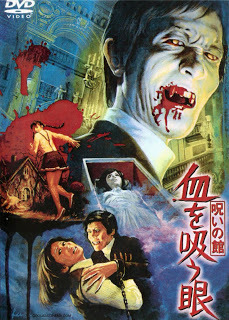 This unusual entry into the vampire canon combines the lush colors and elegant cinematography characteristic of Toho productions with folklore and plot elements typically found in Hammer Films to create a unique experience certain to appeal to fans of international horror cinema. I'll be at the Trenton Punk Rock Flea Market's summer event with art, zines, pins, and apparel. Over 100 vendors including jewelers, designers, artists, and vintage slingers, plus food trucks and an afterparty with live music. $5 at the door plus the first 100 attendees get a free goodie bag, which will include fun stuff from me. Stop by and say hi! I'll be returning to Jersey City Oddities Market along with a wonderful group of artists, creators, and collectors of the old and odd. 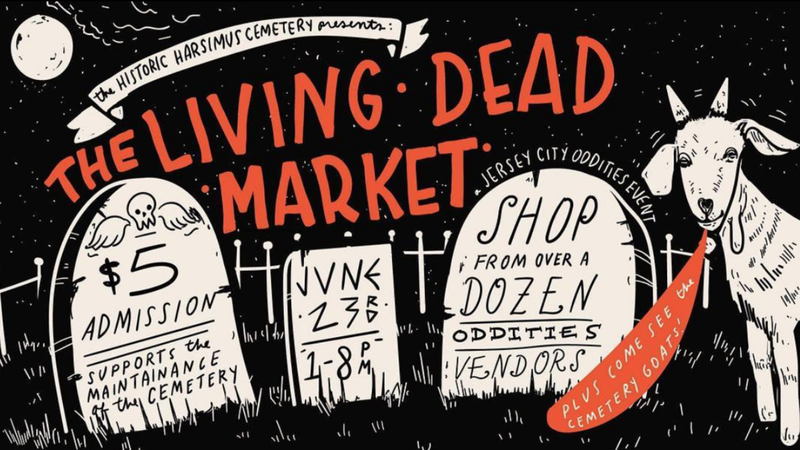 The Living Dead Market supports Jersey City's Historic Harsimus Cemetery and their goat landscapers. I'll bring new original art, t-shirts, zines, and more. I'll be joined by Opulent Tarnish Photography. Stop by, say hi, and feed the cemetery goat crew! 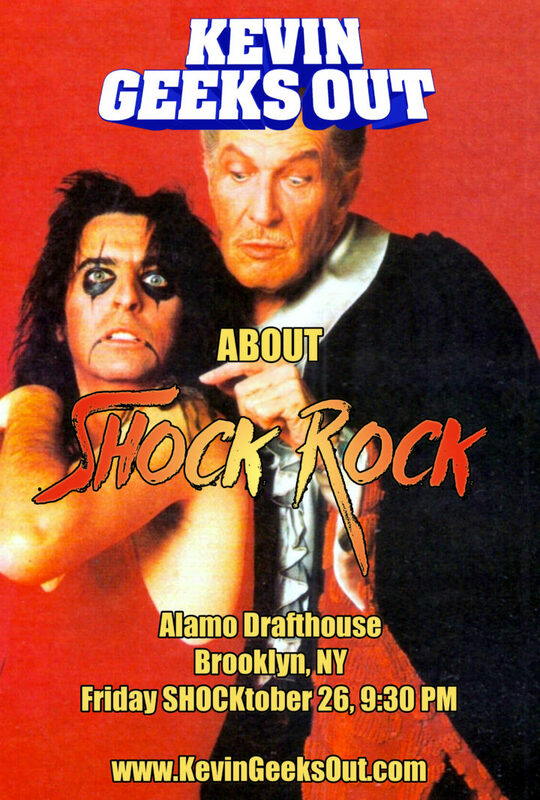 Join me as I intro Psychomania at Alamo Drafthouse Brooklyn! Tickets are on sale now. Part biker movie melodrama, part folk horror, and part pitch-black comedy, PSYCHOMANIA is one of the most unique products of the 70s British horror boom. Nicky Henson stars as Tom Latham, the leader of a juvenile delinquent biker gang dubbed The Living Dead who discovers the key to immortality via his dead father’s frog-obsessed path of black magic. The catch is that practitioners have to commit suicide in order to cheat death, and deals with the Devil rarely go as planned. Slapped with an X certificate on its release and slammed by the London Times as “only fit to be shown at an S.S. reunion party,” cult film fans have since resurrected the movie. See why PSYCHOMANIA is now acknowledged as a gem that offers a seasoned cast delivering sly performances against a psychedelic occult storyline. Where else can you find a supermarket chaos, a funeral at standing stones, comedy suicides, and the final, gleefully Satanic performance of George Sanders (ALL ABOUT EVE, REBECCA), all set to a groovy organ-heavy soundtrack? It’s a night of brains in jars, experimental serums, unstable lasers, test-subject gorillas and an ambitious procedure that might just overcome death as we know it. Tenebrous Kate joins comedian Kevin Maher for a comedy variety show exploring the maddest that fictional science has to offer! Tenebrous Kate will be joining 100 artists, creators, and collectors of the old and odd at Jersey City Oddities' Spring Mourning event. She will have original art, t-shirts, zines, and more. Stop by and say hi!